Migrants entering Europe. Image- wailoil.co_.nz_.jpg. All righst reserved. The last two years, the global community has been working to develop a joint strategy to face the phenomenon of modern migration. Based on the various human right treaties on the subject, the result is a document called “Global Compact for Safe, Orderly and Regular Migration” which was meant to be signed by all the States that participated in its negotiations in Marrakech, on the 10 December to celebrate the 70th anniversary of the Universal Declaration of Human Rights. However, at the very last minute some of them announced that they were not going to the Conference to adopt the document. One of those countries is Chile, which stated that migration is not a human right and the Government was not ready to surrender its sovereignty and risk legal actions in International Courts. Is the Chilean Government right? Is migration a human right or is it not? Why are some States suspicious about international cooperation? Sunday 9 December was a confusing day in Chile for those who follow politics and in particular international politics. The following day, the world would be celebrating the 70th anniversary of the Universal Declaration of Human Rights, the cornerstone document for the development of human rights law in the decades to come. For two years, the international community planned to commemorate that day with the celebration of a global agreement to materialize an international effort to face a global challenge such as the migration phenomenon. The agreement, called the “Global Compact for Safe, Orderly and Regular Migration” is a non-binding agreement meant to coordinate the adhering States devise migration public policy based on evidence and ideally coherent with the other States’ policies. Two years of negotiations from which only Trump’s United States of America decided not to be part. Chile was going to adhere to the document on that day in Marrakech, Morocco, but at the very last moment, the day before, the Interior Undersecretary made a public statement saying that Chile was not going to Marrakech. He said that the Government does not approve of the final draft because migration was not a human right, that it promotes irregular migration and that they were not going to expose the country to legally binding obligations that could be enforced in international courts. The problem is none of those assertions is correct. First, it is not correct to say that migration is not a human right. The modern consolidated shape of States as we know them today is not older than 250 or 300 years, whereas humans have always moved around Earth, since the appearance of Homo sapiens over 300,000 years ago; its nature does not know of any frontiers. While migration seems to be a natural activity of humanity, States’ limits are fictional lines arbitrarily designed by some people in certain conjunctures of history. Moreover, while migration seems to be a natural activity of humanity, States’ limits are fictional lines arbitrarily designed by some people in certain conjunctures of history, and they often change as global politics and international conflicts redraw them constantly. - The 1966 International Covenant on Civil and Political Rights (signed by Chile in 1969 and ratified in 1972): Article 12.2; and its two Optional Protocols, also signed and ratified by Chile. - The 1990 International Convention on the Protection of the rights of all migrant workers and members of their families (signed in 1993 and ratified in 2005). All those treaties, among many others, fulfilled all the internal and external requirements to become legally binding for Chile, according to Article 5 of its Constitution. The natural conclusion, as the Chilean Minister of Foreign Affairs had to admit later that week contradicting the President, is to say that migration is indeed a human right. Nonetheless, the Government says that the right is to emigrate, but not to immigrate, and that no State is in an obligation to accept any migrant trying to enter its borders. Of course, migration is a right that requires regulation to operationalize a pertinent and adequate exercise of it, just like, e. gr., the right to found a family. It does not mean that neither of both is a human right. It just means that their exercise needs regulation. Regarding the text of the Compact, the Chilean government stated that it is legally binding, that it affects the State’s sovereignty and that it promotes irregular migration. First, the document will have the form of a UN General Assembly resolution, which is nothing more than a recommendation. Furthermore, paragraph 7 and paragraph 15 b) specifically state that it presents “a non-legally binding, cooperation framework”. How could it then be used against the country in international courts, as President Piñera argued? Chile was not the only State that did not sign it; the United States of America, Dominican Republic, Israel, Bulgaria, Estonia, Hungary, the Czech Republic and Australia are some of them. Second, paragraph 15 c) treats national sovereignty providing that “The Global Compact reaffirms the sovereign right of States to determine their national migration policy and their prerogative to govern migration within their jurisdiction”. It even allows States to “distinguish between regular and irregular migration status”. How could it then promote irregular migration, as President Piñera also argued, when it is designed for safe, orderly and regular migration? Of course, Chile was not the only State that did not sign it; the United States of America, Dominican Republic, Israel, Bulgaria, Estonia, Hungary, the Czech Republic and Australia are some of them. They decided to say no to cooperation in order to: collect and utilize accurate and disaggregated data, minimize the adverse drivers and structural factors that compel people to leave their country of origin, strengthen the transnational response to smuggling of migrants, facilitating safe and dignified return and readmission or manage borders in an integrated, secure and coordinated manner, among other objectives set in the document. It is not trivial that a small and geographically isolated country like Chile turns its back to this cooperation framework, because the migratory crisis originated in Central and parts of South America has not only affected the northern borders (Mexico and USA), people have also migrated south, escaping poverty and tyrannical regimes. Chile, in the region, offers economic and democratic stability. How would Chile, and the other countries, which did not sign the Compact, produce coherent and comprehensive public policies for migration when, at the same time, they are refusing to work with the States where the immigrants are coming from and the ones where its citizens are going to? Global cooperation seems to be essential to address a global phenomenon. It seems to be another manifestation of a problem that the world is facing: the global trend of politicians who prefer to obtain political gains by taking advantage of the fear of the unknown and feeding it with false or incomplete information in order to achieve their goals, instead of governing with the truth and evidence. 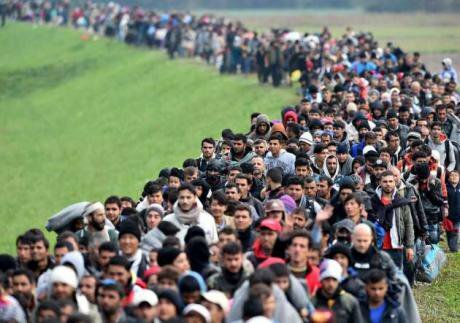 Migration has occurred through all human history, it is happening now and will continue to happen forever (probably even to other planets). Why not do it in a “Safe, Orderly and Regular” way? The last word will be said on 19 December when the UN General Assembly votes to approve the recommendations agreed in the Compact.